Archaeologists working in eastern England have discovered a previously unknown Anglo-Saxon cemetery dating back some 1,600 years. At least 20 graves have been uncovered, including many lavish burials belonging to women. The graves were uncovered at a site in Lincolnshire Wolds, a vast range of picturesque hills and swooping valleys. The graves, of which there are at least 20, date back to the late fifth to mid sixth centuries AD, according to a University of Sheffield press release. 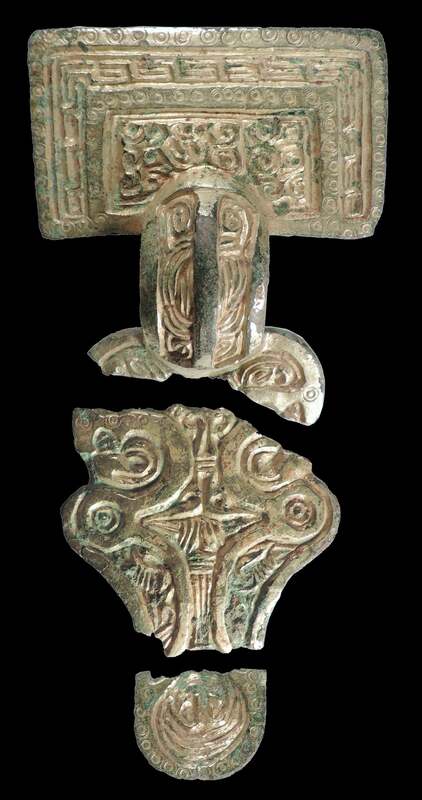 The first signs that something of archaeological significance was located at the site appeared when a local metal detectorist uncovered a number of Anglo-Saxon artefacts, such as spearheads, parts of iron shields, and copper-gilded brooches. An archaeological team, led by Hugh Willmott and Katie Hemer from the University of Sheffield, came in to investigate further. They were joined by Adam Daubney, the Lincolnshire Finds Liaison Officer for the Portable Antiquities Scheme. The researchers said practically all the burials included a “rich array of objects” consistent with the funeral customs seen in eastern England during the early centuries after the Germanic migrations. One of the more interesting aspects of the graves was the “significant proportion of very lavish burials” associated with the women buried at Lincolnshire Wolds. The elephant ivory rings likely came from sub-Saharan Africa, but in the context of the time, they “might as well have come from the moon,” Willmott told the Guardian. Perhaps strangely, the graves of children were conspicuously absent at the cemetery, which admittedly is still only partially excavated. That said, one of the more dramatic burials was that of a “richly dressed woman” buried with “a baby cradled in her left arm,” said Willmott. The newly discovered cemetery now presents archaeologists with a remarkable opportunity to learn more about the early Anglo-Saxon communities of eastern England. To that end, the human remains are set to undergo analysis at a Sheffield University lab. Thorough physical examinations of the skeletons are scheduled, as is an isotope analysis of teeth and bone to determine where these individuals came from and what they ate. Naturally, the analysis will extend to the artefacts as well, including the amber beads. The archaeologists “will analyse the elemental composition of the metalwork and identify the elephant species which produced the ivory rings,” explained Hemer in the statement.